Arun Kumar Bajaj - World's only Sewing Machine Artist! 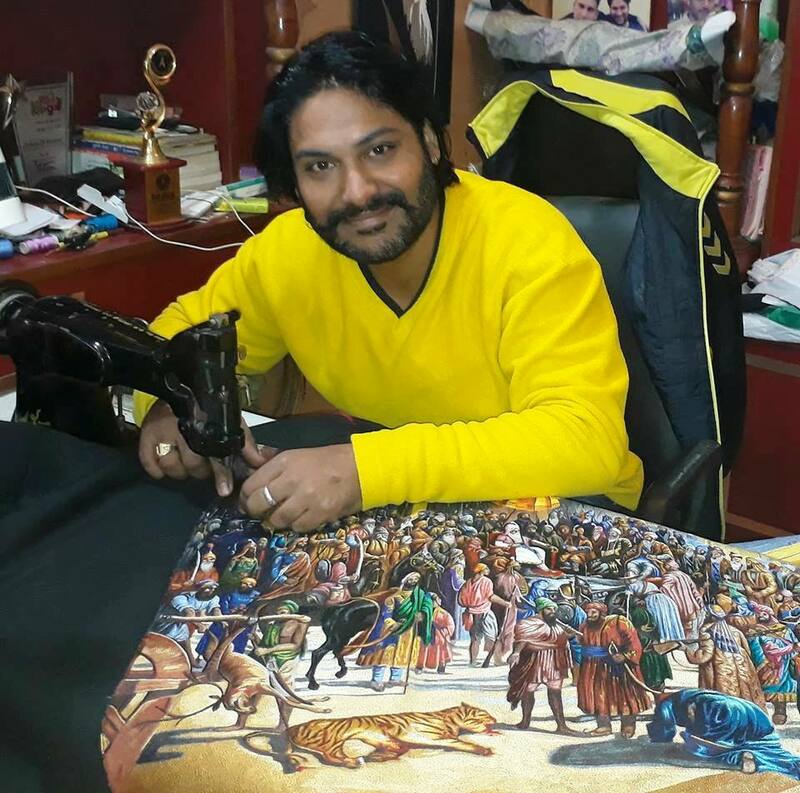 Home / Amazing People / Arun Kumar Bajaj – World’s only Sewing Machine Artist! 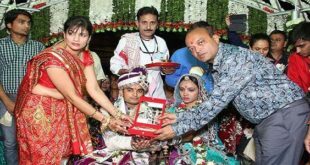 Arun Kumar Bajaj the world’s only sewing machine artist, born on 2nd June, 1983 hails from Patiala, India. He has gained name and fame for his machine sewn paintings. Arun Kumar Bajaj was good at painting when he was in school. But the sudden death of his father Ashwani Bajaj when he was 16 years old compelled him to leave school and join his father’s tailoring business. He runs a tailoring enterprise in Adalat Bazar of Patiala that specialises in stitching traditional achkans and sherwanis. Arun Kumar Bajaj is known as the Needle Man Of India. He is a tailor by profession, but painting was his passion so he decided to combine the two arts. He started trying out new ideas or methods to create innovative work with needle and thread. Gradually, his unique embroidery that looks similar to paintings became famous in India and abroad. Arun Bajaj was famous for his sewing work and had made paintings of many famous personalities. France and Western culture are famous for embroidered tapestries, but Arun’s work is different from all of them as it is entirely done by sewing machine and not by hand. His paintings were amazing. He also held exhibitions of his paintings in Mumbai, Pune, Delhi and other cities. He sold some of the paintings out of which one fetched him nearly 3.5 lakh at a sale at Dilli Haat in the capital. Portraits of Shaheed Bhagat Singh, Jesus Christ, Guru Gobind Singh, Lord Krishna, Mother Teresa, Prime Minister Narendra Modi and Chief Minister Parkash Singh Badal are some of his popular works. The 6 feet by 4 feet Lord Krishna’s portrait made by Arun Kumar Bajaj, using 28,36,000 metres of thread, completed in 3 years was registered in the India Book of Records on February 4, 2015. It was also registered in Unique World Records on September 24, 2016. 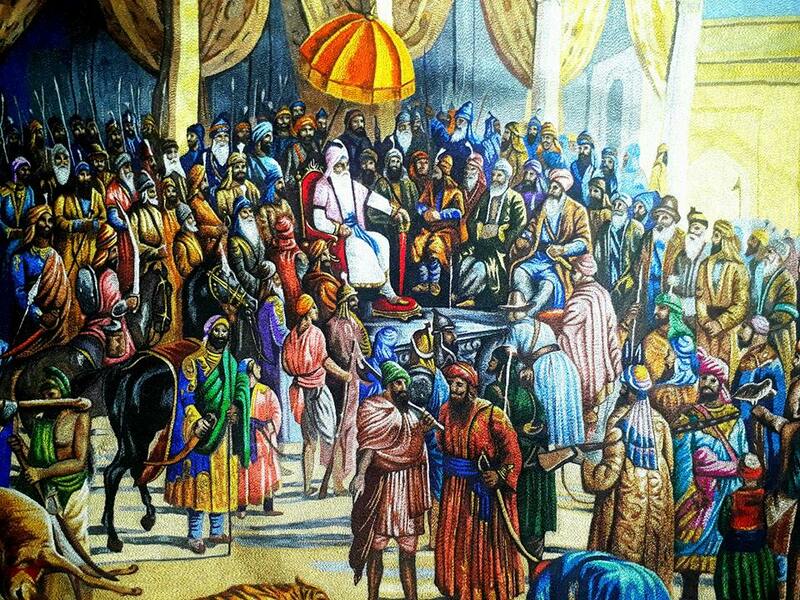 Arun Bajaj presented the Union minister Smriti Irani , a large, 4×2 feet ‘painting’ of the court of Ranjit Singh, the fabled Maharaja of the Sikh empire with nearly 2,000 human figures – courtiers, soldiers, noblemen, etc, in all their regalia. It took him over a year to complete it. 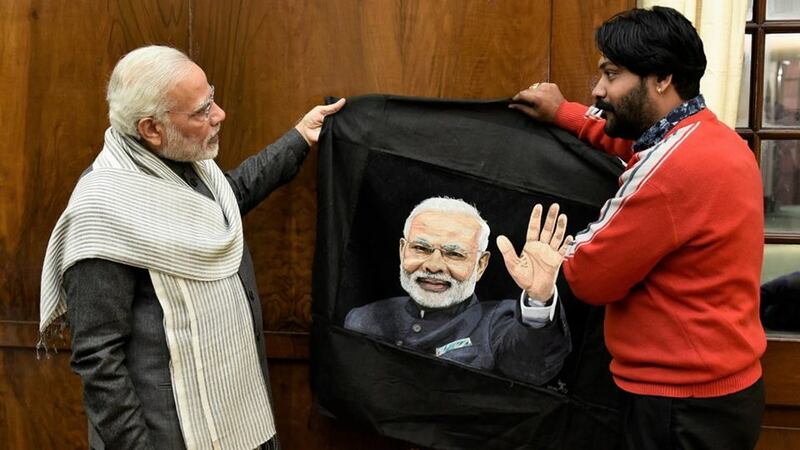 Recently, he also presented Prime Minister Narendra Modi with a stitched portrait. Though Arun Kumar Bajaj was a tailor by profession, his passion for paintings didn’t allow the artist in him to die. He had no intention of remaining a tailor forever. He had a desire to become popular by creating some innovative work. Arun Bajaj did a creative work by combining both sewing and painting together. He wanted the whole world to recognize him and his work. He worked hard to achieve his goal and was successful. He aims to make more and more creative paintings. Arun Kumar Bajaj popularly known as ‘The Needleman of India’ is now planning to get into the Guinness Book of World Records and make India a proud nation by his unique paintings. 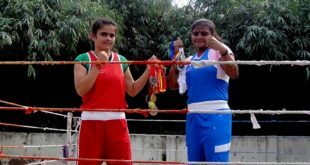 Kushi H – India’s Cruncher girl from Mysore!